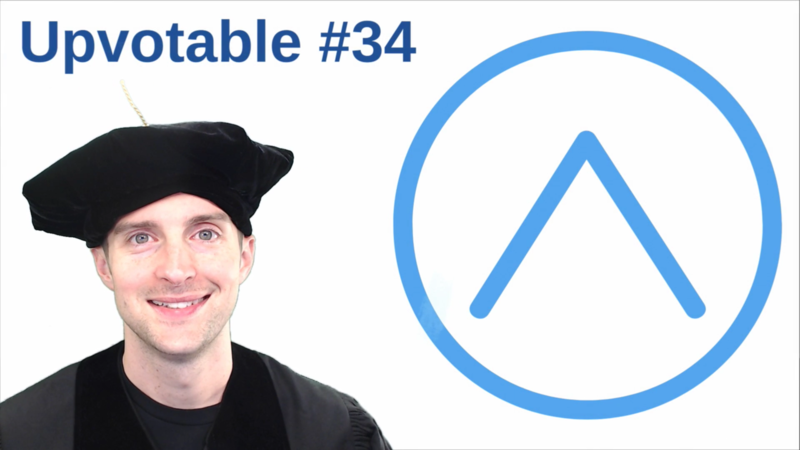 Our Curation Teams Rock in Upvotable #34! 20 to 100 new authors on Steemit EVERY DAY are being rewarded by curation projects like @curie, @ocd, @minnowsupport, and our curation project here that I call upvotable! Any of us pouring our hearts into Steem posts every day have a very high likelihood within a month or two of being included in collaborations among readers and authors to ensure we get a good reward for our work. While our system has room for improvement, the curation projects on Steem are better than any I know of online for bloggers new to a platform to be paid for what is written. Try writing on Medium or Blogger or WordPress and see how long it takes for even one person to comment let alone actually offer money. I am so grateful to receive so many votes on my posts that I try to give back several times a week in these upvotable posts with tips, upvotes, and inclusion on my auto upvoter with @steemvoter for the authors I love reading the most. In today's upvotable post #34, authors and curators received $120 SBD for the posts shared below in the upvotable 33 comments! $20 @eco-alex makes what I think is the definition of a high quality post on Steemit complete with deep research and experience in educating us on DNA at https://steemit.com/biology/@eco-alex/biology-101-what-is-dna-the-blockchain-of-life-is-dna-the-storage-system-of-the-future earning Alex $10 SBD for the post and @likedeeler also earns 10 SBD for sharing this post in the upvotable 33 comments! $20 @szuri writes a beautiful post about her mother at https://steemit.com/life/@szuri/or-t-h-e-mother-or-portrait-of-a-mother earning her 10 SBD and @deaconlee 10 more SBD for the recommendation in upvotable 33! $20 @likedeeler invites us to join him on his adventure to the Phillipines to meet family in 1983 and 1987 at https://steemit.com/philippines/@likedeeler/my-malacanan-miracle-how-i-once-got-into-the-palace-without-being-searched earning him 10 SBD and @ecoinstant 10 SBD more for the recommendation in the upvotable 33 comments! $20 @ewuoso is publishing several posts every day and shows why I believe Steem is the best cryptocurrency opportunity for us to participate in! Here is a look inside a day of his life on the farm in Nigeria at https://steemit.com/nigeria/@ewuoso/how-i-run-my-daily-activities-on-my-farm-2017915t224348411z which was selected by @ocd and I think is the first post to earn him $20 in upvotes! He receives another 10 SBD for being included here as does @gallantmayor for the recommendation! $20 @kaykunoichi introduces us to here native language at https://steemit.com/education/@kaykunoichi/let-s-celebrate-maori-language-week-part-1-maori-greetings-and-why-is-culture-important-to-you-korero-mai-speak-to-me earning her 10 SBD along with @fitinfun who recommended the post! $10 @mountainwashere participates with this post in a writing competition by @suesa at https://steemit.com/science/@mountainwashere/the-miasmic-theory-of-disease earning him a 10 SBD tip! $10 @eco-alex earns $10 SBD as my thank you for being the top curator on upvotable 33! Thank you very much for collaborating with me in upvotable 33 by sharing links to posts worth upvoting! I prefer to include posts not included in other curation projects to help upvotable reach more authors. Posts that are similar to the ones I share in each upvotable in terms of length and formatting reflect what I am likely to include in future posts. To the curators upvoting the comments, THANK YOU VERY MUCH for helping me quickly go into the comments and locate some great posts. Would you please continue contributing by sharing links to the best new posts on Steemit here or the more undervalued older posts AND/OR upvoting the best comments made by others here AND/OR replying to comments with feedback on a submission because that is how we will make upvotable 35 together? Facebook page with 2,252,594 likes. PS: These upvotable posts are part of my service as a witness for Steem. Witness votes are the most important votes we make on Steem because one vote for a witness lasts indefinitely! Would you please make a vote for jerrybanfield as a witness or set jerrybanfield as a proxy to handle all witness votes at https://steemit.com/~witnesses because when we make our votes, we feel in control of our future together? Thank you to the 853 accounts voting for me as a witness, the 197.3M VESTS assigned from users trusting me to make all witness votes by setting me as proxy, and @followbtcnews for making these .gif images! nice job @ewuoso.. i know he is trying VERY hard to make Steemit work .. and im happy to see he is remaining positive and posting something very decent! I think @ewuoso deserves some good support! Im Sure you will @ewuoso ! ;-) Steem on! I dont like that groups vote themselfs with bots and friends. It's the same story again and again. I can understand from your perspective that this might be quite frustrating.. As you probably know im in a group myself, the ecoTrain. All i can say is that we support each other (and others) because we really value the posts we upvote. Most of the ecoTrain passengers are also Minnows with almost no SP.. so the few of us that have some really support them. I agree that blind bot voting is often misused, but as for friends supporting each other when they write well, i think that is just awesome!!! I personally go through the whole list of submissions from everyone else too on this page and upvote the ones that i like .. I think the bottom line is that IF you write a really good post, you will likely be noticed and featured. Community support is really needed on Steemit, for many reasons. I believe we need to make friends and support each other in whatever way we feel is right. If you are feeling that you are not supported then maybe try joining one of the many groups and communities on Steemit and see how it goes. From my experience I can tell you it is a lot more fun and engaging! i will advise you read the post and if you like it, you drop and upvote and if not just scroll down and look for good posts to upvote. SUCCESS @adesolaa! I am including the post you recommended in upvotable 35! Tip! This is a simple blog about something that is a common saying in the United States, especially out West. But I like how it is being received by people from other parts of the world and even how they are converting it into their own language. So I perceive that it is not so common in other locations and it is a good proverb and lesson to pass on to others. When you stop voting with bots and friends i will consider your posts. I saw you used upvote bots on previous upvotables! Now it's upvoted from acc from your country who is abusing bots. Is this a competition who will pay more and who is gonna bring more friends to vote for him? So the best author without friends and money is gonna lose in most cases. This is bad for steemit. What are the criteria. @jerrybanfield said he will read from up. My friends are doing it for me so that i can get up. And as a matter of fact. If i upvote my post and the post is senseless, jerry will not include it. Let me ask you. Did u read my post at all? What if all groups came here and told others to upvote them with biger steempower? What if someone comes to upvote his other accounts with 5 sbd worth upvotes and gets all rewards. This is not a good and fair sistem. If jerrybanfield doesn't change something then others will come here and abuse this with their huge steempowers. I hope you realise if this happens you will stuck at the bottom for most of times. They can pay more for upvotes. You will suport this only when you have enough to get to the top but we can't compete with rich steempowers and then it will be to late to complain. When this happens i wil remember you what i told you! This comment has received a 0.67 % upvote from @booster thanks to: @amec. This comment has received a 11.67 % upvote from @buildawhale thanks to: @amec. This comment has received a 2.47 % upvote from @bellyrub thanks to: @amec. yeah. he is helping a lot. Thanks a lot for sharing your enthusiasm, initiatives and information with us all here on Steemit. You sure get my vote for the witness as well! Eric thank you very much for your vote for witness at https://steemit.com/~witnesses and sharing how you see the work I do each day here! Thanks s@khatisam4 for sharing such misconception stuffs. Your works are great . May this saying be mindset from now on ! I see the same users abusing this with this @qura upvoting service. SUCCESS! I will be including your post in upvotable 35! Here is your tip! I loved the discussion that happened from @deaconlee and @kiligirl on your post! This is an interesting post on what might be considered by some the best way to get ahead and win the game of life. Exactly how do you figure I did that and what exactly do I have to gain if I did? This is not my post and I do not follow nor did I upvote the post. Is it just your job to go around falsely accusing and slandering people? Anyone can see your connection with @qura if they click your wallet. You use it often. So? I have not used it on this post. If you have a problem with bots write your own blogs about it or take it up with whoever is running the show here. If you check all of my comments you would see where I myself have suggested that the bots be outlawed. But they are not, they are here, and anyone can use them for whatever they want. This is Jerry's blog, not yours, all that he has to do is say that bot voting does not count and that's the end of the story. Why don't you let Jerry Banfield run his blog and his contest and you stick to your own work? hlw sir.. Today I would again like to share the unrevealed truth of the society where I live, through this beautifully written post. I am sure, you will go through the post to know how life is completely different from where we live and some other part of the world. Thank you for being the top curator again in this post qura! Tip! SUCCESS @kelvanis! I am including your second post in upvotable 35 along with this tip! Hello @verdanas. Everything has a limit. You have been spamming coming into everybody's comment with such allegations since past week. We here in steemit, blog or atleast try to blog about things we think we know about. It takes hours of effort. I think u understand that. we meet different other bloggers who are better or equally capable of creating exceptional content. we interact to make ourself better. Thats where steemit chat rooms come in handy. And in that process, We get different followers who like our contents and vice versa. But sometimes, we author despite of nice content, gets unnoticed. This is why Upvotable is established by @jerry Sir I think. So, in steemit we help to grow. Now coming to the posts I referred, I didn't refer any contents or begged for the vote as per my connection because i know here what matters is quality and I strongly believe that every posts are read before they are selected. I referred those posts because they had something in it that in my view should have reached to wider audience. And what better place than @jerrybanfield 's upvotable series. So, I really wish you should start going through the content and complain if u find any inappropriate content and kindly passs on suggestion regarding it. As long as the content of the post is good, it would not be problem for me to even refer @verdanas post either. Less attractive?? @verdanas I just saw your profile. Steemit is more fun, attractive and pleasing when one blogs and shares with his fellow steemians. I doubt the purpose of the account that is active but doesnot blogs. You are very neutral. Submited post from account from your country again. You selfish self upvoter and qura service abuser. Such an informative post borther ! SUCCESS @syedumair! I am including your post in upvotable 35 along with a tip! VERy unusual post.. quite interesting and amusing at the same time! I'm not sure what to think of this blog, but @syedumair is a very hard working self promoter and possesses the drive and motivation for success. i really liked the fiction story.. Yes, the second part is good I guess. The last cold soup for this year taste awesome I guess so ! i really like the second recipe link .. very well crafted post with great introduction and lovely photos.. and the dish looks great! i really loved the recipe..
loved the recipe..going to try it.. This is just too awesome ! The photography skills are great sir ! I appreciate your hard work @barrysamways ! Thanks for sharing such a good stuffs in the upvotable ! Hi @jerrybanfield, i found this post which embraces a little the spirit of your #upvotable and wanted share it help to help the author. Please let me know if this is the kind of value you are looking to support? Hi Jerry - I'm so happy you chose my nomination from last time. I'm a big fan of seeing other cultures and steemit is great for that. And I will never forget the pig farmer. Very moving. Today I am nominating my own post. I wrote this list of tips to try to help others start making some money as soon as they get going here on steemit. This is especially for people like me who do not have money to invest. I think there are a lot of ways to improve your results and these are all free except for my suggestion of leasing delegated sp. I wish I would have know all this when I first got started and I do these things today. Thank you again for all your help to us little guys. We appreciate it very much! Sharon this is an absolutely outstanding post I am giving you double for it along with the tip on this post in this tip! I love this post. It's great advice for those who need a little extra coin to get them through the month. @fitinfun always shares great info like this! You rock! Though I am normally not a fan of nominating your own stuff (ain´t got no friends who can do that for you? 😘), in this case I´m glad you did. This is such a helpful post, lots of work went into that one, great advice. Thanks! I thought about bribing someone to nominate me, but then I just wanted to get it out where ever I can find a place to put it where new people will see it. Thanks for taking a look and I hope those tips help you too. this is one of the best tips for Steemit that i have read! great post! Thank you and thank you for the upvote. I hope a lot of new people can see this and do better. I'm pushing this post where I can and I really appreciate your support! yes.. i remember your story and you are inspiring! I really loved this help and it definitely has both of my thumbs up for the next upvotable! This is a very useful for new steemers like me. Thanks for posting. Hello @jerrybanfield sir. Its always a pleasure to help you finding the best content. 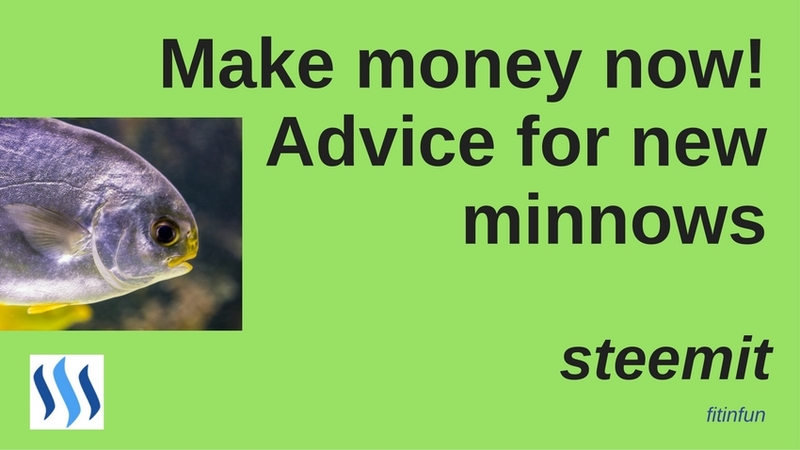 Minnows need support to become strong on steemit and you're doing a pretty good job at providing that support. For next upvotable I want to submit 2 posts which can bring value for steemit readers for sure. I request @eco-alex to analyise these posts and upvote so that it can be visible for jerrybanfield. This post by @laylahsophia shares her perspective on why Steemit is special? SUCCESS! I am including the post on why Steemit is special and a tip! I like the first post you linked in a lot.. nice read! I'm glad you guys liked my post submission....My intention was to find hidden gems that are really undervalued. I'd like to offer up a post I wrote about Bio-Dynamic Gardening. .. keeping in with Jerry's last post about removing his lawns and growing food instead! Very nice blog and such detail! There is a lot of great information here for anyone that has the least bit of interest in the subject. maybe you could include this on your next upvotable and hopefully someone will notice and maybe someone out there can answer the questions asked. SUCCESS it worked this time and I am including it in upvotable 35! Oh my gosh thanks so much @jerrybanfield ! I like the idea but I'm not sure if your blog is in the complete spirit of upvotable, but I'll let Jerry and the other curators on here be the judge of that. I will resteemit for you though and help get the word out! Good luck with the meetup, I hope everyone has fun and that it is a big success. Maybe that because you think that your content should mean more to me than a personal upvote and a resteem and that what I really should have done was worship your blog on on this version of upvotable because you wrote it and because it is about Steemit, even though as I said, I'm just not sure whether it is the kind of blog Jerry is looking for or not. I'm sorry if my reply did not meet your expectations, I will do some personal introspect and try to determine if I am undervaluing authors who are overvaluing themselves, because I certainly wouldn't want to insult anyone on purpose. Hi @jerrybanfield - here's a post I just wrote about how to properly value rewards on SteemIt. I think this is a very important concept for the new and minnow users on the platform. Since that's also what your upvotable series is about (helping new/smaller users) I thought it would make sense to post it here. Would very much appreciate your thoughts if you have some time to read it! Awesome post I am including it in upvotable 35! Awesome thank you so much @jerrybanfield! I'm in the midst of writing another post right now and was referencing some of your great material when your tip popped up! I would like to nominate this post by @sqamemal for the next upvotable because it talks about a problem that most newcomers to steemit have and that is plagiarism and abuse. This post is a story of how a minnow was able to overcome the urge to plagiarize after a few months on the platform. Thank you for the kind words, I hope to have a positive impact on the steemit community in the near future. Interesting blog @sqamemal, you seem like a very intelligent person who is driven to succeed, which you have admitted to and we all know can cause us to push the boundaries of right and wrong. Nice, thank you for info Jerry! I don't know much about the different styles of poetry and never really studied it in school. So for me a poem has to just stir me in some way and cause some emotional reaction. So what I'm saying is that I can't really judge your poem on merit but I did want you to know that I took the time to read it. There is a lot of good information on diabetes and tips on how to look for and guard against gum disease. But as of the time of my reading the sources for the studies listed had not been cited, this should be an easy fix to what otherwise is a good and helpful blog. Hi @jerrybanfield please send me your thoughts about these two blogposts about Steemian Integrity and Steemian Reputation Thanks! These blogs formulate good discussions on how ethics, morals and individual integrity should be determined and governed as it pertains to the Steemit community. @deaconlee Thank You so much! https://steemit.com/homesteading/@palmerjm1/life-on-the-farm-or-3 would you view my post and give me some feedback jerry? I am very interested in Virtual Reality and this blogs talks about the dangers involved and how they might be mitigated. Would you recommend my post for curie rewards as I believe it is a good post to get featured there. tnx in advance. . Have a nice day! This was a great blog about a new service on Steemit that really needs to be promoted, unfortunately this post is already 7 days old and is no longer upvotable. I hope that does not prevent others on here from going and reading about dsound. I have started a series named "Untold Stories of Unsuccessful Persons" where I share the stories of people who have worked hard in their lives but due to their circumstances or for any other reason couldn't get success in their lives. I bypassed this blog because I didn't really want to read about failed lives, I'm human too and I've had my own failures. But actually I like what you are doing, we need to understand some of the things that can contribute to a failed life so that we can avoid them if possible, or at least learn something from the mistakes and hardships of others. Your story and youtube video is my primary source to keep up with new things on the net. Keep it up! this post probably has too much support to make up-votable.. from what i understand..
Hey @jerrybanfield. I just voted you as a witness. I followed your tutorial on Mashable and I ended up to use Steemit thanks to that. I am trying this out and I am also willing to become a witness myself soon ( I am a software developer with more than 10 years of experience), contributing on Condenser and post curated contents quite often! Hi Jerry, you are certainly an enthusiastic and energetic ambassador for Steemit. Hats off to you. Here is a post by I would nominate by some friends I've made on Steemit @thehutchreport. These guys consistently put out well thought content but I do not see them getting much traction. This is one of their latest posts. Interesting information, it wouldn't work for me but I'm sure there are a lot of people on Steemit that could benefit. Content creators sometimes just need a simple... Job well done or I can relate to that piece to keep them going. You are doing more and it's admirable. Jerry your the man. I still don't know how to use Steemit to it's potential and it gets discouraging but I love your posts and help you provide to the bottom dwellers like me. It makes the task of trying to get votes seem tolerable when your pouring 110% in and getting maybe a .01 in return. Thanks for support to other users! You are very helpful for the minnows! I would very like to be checked as content and contribution! Good luck guys who got rewarded. This is your second post on steemvoter in a row so it intrigued me to learn more about this tool. Thanks for sharing @jerrybanfield. I looked at it earlier. I think it can actually help. For example - I have some friends i would like to always vote on, but I often miss their posts. At my power, I can only set a few rules for votes. I wonder about waking up to find all my people posted and now I have no power for the day! Then also - how will I know to go comment on the people I voted for? I'm sure there is some way to track that. I do like the idea of it for going on vacation. that makes complete sense to me. can you really read all these comments ? Thanks a lot for sharing your enthusiasme initiatives and information with us all here on Steemit. You sure get my vote for the witness as well! Great posts are the LIFE BLOOD OF STEEMIT and those that keep that spirit alive will make sure steemit does not become a garbage heap of spam and greed . as usual exellent work Jerry ! I choose my post regarding the top 10 long term investment for Altcoins. To let you know, I invest a lot of money in Steem because of you and your video so thank you. I'm not completely sure but I don't think contests and giveaways are exactly the type posts that Jerry is looking for in upvotables. What I first started posting was helped out by project curie more times than I can count. Now that my ranking is 62 you don't really get helped out by those projects anymore..... but I've built a small following and I generally get a couple dollars per post even though I never get the $20 per post anymore that those projects used to provide....... not to mention that the whale experiment is over. Can I ask you to look at my most recent post to see what you think? I wrote it for new people to get them earning income here right away. It seems like you should be able to do better with your situation. I put this post for nomination here today already - I want more people to see it! Honored ;) Thank you very much! This post has been ranked within the top 10 most undervalued posts in the second half of Sep 18. We estimate that this post is undervalued by $109.73 as compared to a scenario in which every voter had an equal say. See the full rankings and details in The Daily Tribune: Sep 18 - Part II. You can also read about some of our methodology, data analysis and technical details in our initial post. it's a good way to appreciate @jerrybanfield. Maybe one day, I was on the list. Hi Jerry. This is not a new post of mine but it shows the quality of what I like to bring to steemit. I'm not a full time writer. I have my dayjob and a family to take care of. In my spare time I like to interact and pass my knowledge to other people. I'm more into technical stuff which doesn't seem to be very popular here on steemit. Hope you like it. very nice post..intersting facts and true..i learn a llot from you..keep doing your best jerry.